I was happy to participate yet again in Month of Love 2017 – a yearly month-long celebration of art during February (I also participate in Month of Fear). I did two of the challenges this month, Innocence and Metamorphoses. Their counterpart in the previous Month of Fear was Wicked and also Metamorphoses. 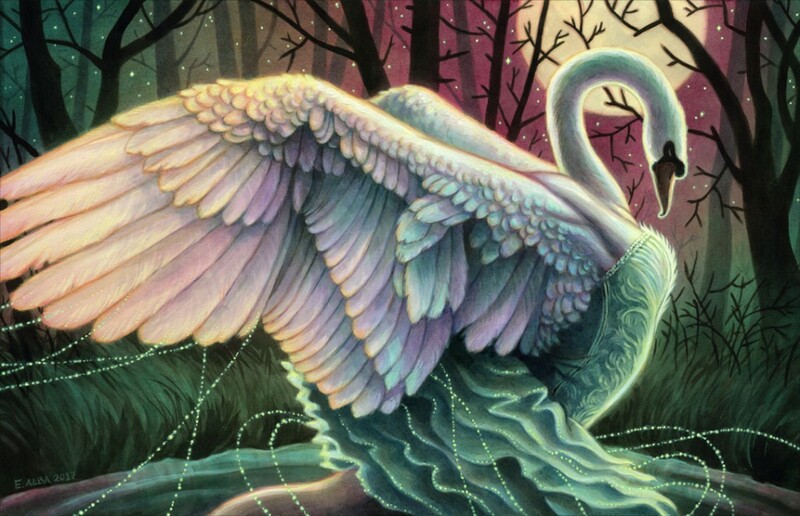 Since I painted Von Rothbart, the villain of Swan Lake, for Wicked in Month of Fear, I decided to paint Odette, the cursed swan princess, for Innocence. For Month of Fear, I painted a shapeshifting snake woman for Metamorphoses. 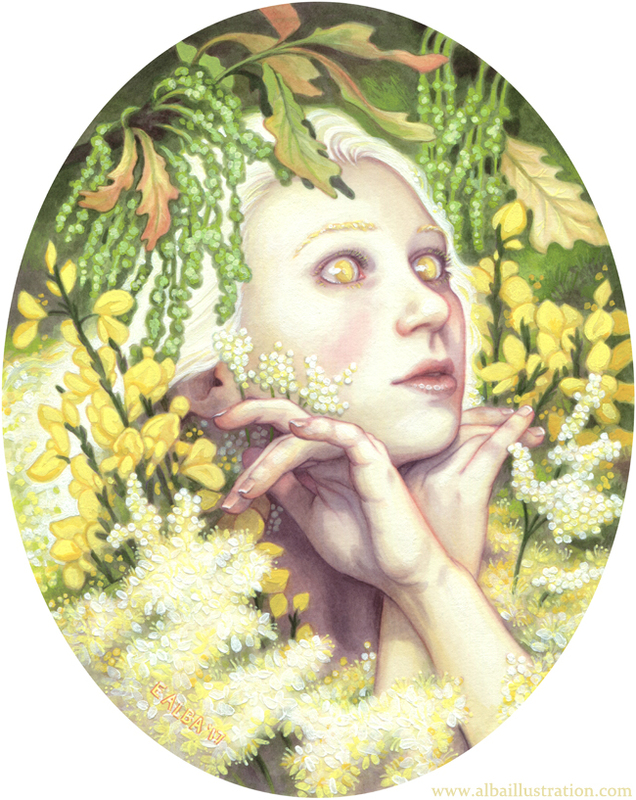 For Month of Love, I took inspiration from the Welsh mythological tale of Blodeuwedd, a woman formed from flowers. This entry was posted in artwork and tagged acryla gouache, ballet, fantasy, flowers, illustration, magic, metamorphoses, month of love, portrait, romance, swan, swan lake, watercolor, woman. Bookmark the permalink.